LBTC Translation Consultant Martin Weber and co-translators, Yuare Jerome and Nganko Emmanuel, are translating Old Testament readings into the Kwanja language. LBTC Translator and Literacy Specialist Joan Weber and her co-workers continue their task of preparing course material and leading literacy classes at all levels. Thank you for your support and prayers. The Webers returned to Cameroon after a successful year-long furlough in June 2017. LBTC Missionaries Rev Mike and Kara (nee Hautz) Kuhn, have been with LBTC since January 2012. 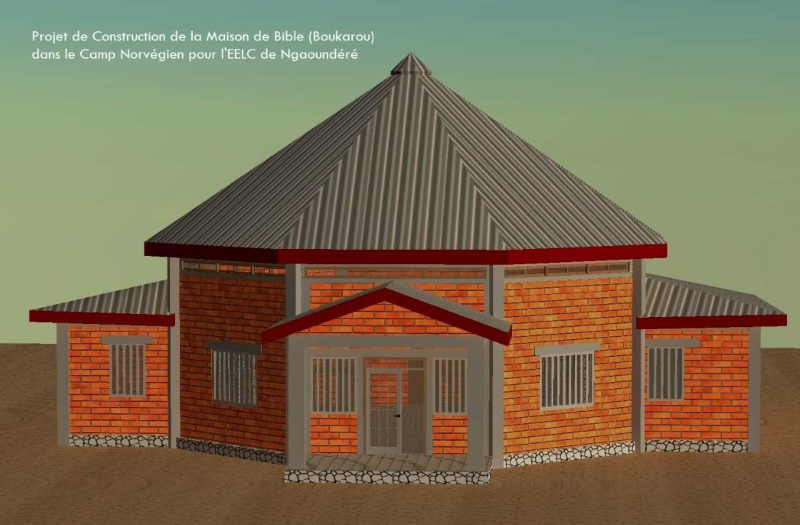 They were deployed for the first time in March of 2013, and are currently working on a New Testament translation with the Nizaa people of Cameroon. Before that, they were studying linguistics at the Canada Institute of Linguistics in Langley, BC, and working to establish partnerships with Canadian churches and individuals to support their mission work. You can support them in this work by clicking on the the CanadaHelps buttons above and selecting Nizaa/Kuhn. Thank you in advance for your support and prayers. LBTC Translator Eshinee Veith and her husband Rob are working for the Lutheran Church in Botswana in the Wayeyi Bible Translation Project. To support this project, click on the the CanadaHelps buttons below. Select the general fund and then comment in the message section that you wish you gift to support Eshinee. Thank you in advance for your support and prayers. All LBTC funds are distributed to support programs and projects approved by the organization. Should a donor choose to restrict a contribution for use in a particular program or project, we will honour that restriction, with the understanding that, when the need for such a program or project has been met, or cannot be completed for any reason as determined by the organization, the remaining restricted contributions will be used where most needed. A quick, easy and secure on-line donation option is to use CanadaHelps. LBTC has partnered with CanadaHelps which is a public charitable foundation that facilitates donations to over 80,000 charities ranging from national organizations to smaller groups. In only five years, they have assisted with distributing more than $10 million in donations annually. You may specify how your gift should be designated. Thank you for sharing God's gifts to you with Lutheran Bible Translators of Canada. When you complete your transaction, your receipt will be generated automatically by CanadaHelps. "If any of the charitable organizations named in my Will has ceased to exist, or has amalgamated with another charitable organization, or has changed its name or objects, the bequest provided for the named charity shall not fail, but my trustee shall pay the same to the charitable organization which my trustee considers most closely fulfills the objects I intended to benefit." Interested in Learning More About Estate Planning? LBTC is linked with other Lutheran mission organizations in Canada through CLAIM which has an agreement to work with Lutheran Foundation Canada to assist individuals as they plan their finances today and after they have joined Christ in eternity. ​​Lasting gifts may be designated or undesignated and include gifts of shares, life insurance policies and much more. There are definite income tax savings when financial planning has been set up properly. For more information about how LBTC will use your future gifts and other tips about estate planning, contact LBTC. Thank you for your kindness and support.